Here’s where I post links and stuff that I’ve found on the web that I quite like, mainly for my own reference to ‘borrow’ later. 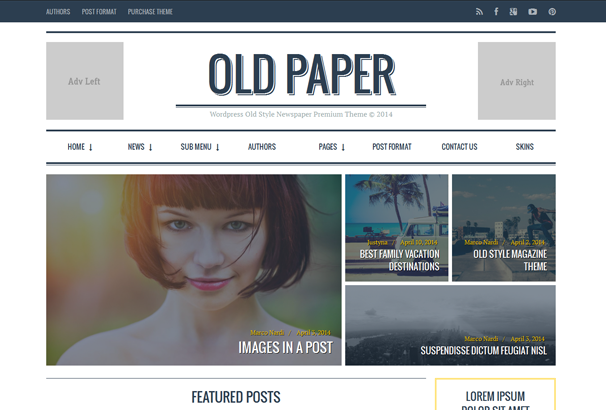 I really like this newly released theme (Old Paper). Not enough to buy it, obviously, but there’s a lot to appreciate just in the demo. Which you can check out here. I think the yellow #ffcc0d and the blue #2c3e50 go really nicely together, and the yellow being used on the moving parts is particularly effective. I’ll definitely be using this on something in the future.